Various societal institutions are concerned with the lasting categorization of society’s members. In modern societies, the institution of school falls into a particularly prominent position in this categorization. This project examines the production of good/bad and gifted/not gifted pupils as an example of school evaluation practices. Educational classification is deemed to be a reliable and institutionally embedded way of segregating individuals through labeling, and thereby steering them towards entrances into educational and professional careers. Central to these differentiation practices is, firstly, the contingent assessment of teachers, which – in aggregation by grades – simultaneously describes and accredits ‘performance’. Secondly, these classifications, carried out by teachers as part of institutional processes, are objectified. The research project examines educational classification as a social drama, in which ‘performance’ and its evaluation are performed and presented, adopted and taken on, stored and calculated. The project carries out empirical research in primary schools and high schools on educational assessment as the hierarchical labeling of individuals, institutional differential gain as well as justification and appropriation of classification. Herbert Kalthoff has been Professor of Knowledge and Educational Sociology as well as for Qualitative Methods at Mainz University since 2008. Before that he temporarily replaced the Professor of Sociology at PH Heidelberg. He was Guest Researcher at the Max Planck Institute for Society Research in Cologne, and Professor of Sociology at the Zeppelin University in Friedrichshafen, Guest Professor at the Institute for Advanced Studies in Vienna and Visiting Scholar at the London School of Economics and Political Science. He was a research associate at Constance University and at the European University Viadrina Frankfurt/Oder, where he achieved his qualification in university lecturing in the Faculty of Cultural Sociology in 2003. 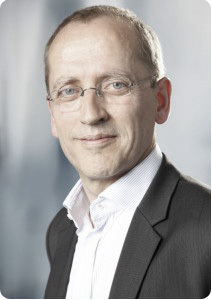 He received his PhD at Bielefeld University in 1995, and before that, his Diploma in Social Sciences in 1991 after studying Sociology at the EHESS (Paris) with Pierre Bourdieu, and at the Universities of Hannover and Bielefeld. He was also Research Fellow of DFG and Chairman and Director of the DGS Department of Qualitative Research Methods. (with Torsten Cress und Tobias Röhl, ed. :) Materialitäten. Herausforderungen für die Kultur- und Sozialwissenschaften. München: Fink. Un/Doing Calculation. On Knowledge Practices of Risk Management. In: Distinktion. Scandinavian Journal of Social Theory 12. P. 3-21. Practices of Calculation. Economic Representation and Risk Management. In: Theory, Culture & Society 22/2. P. 69-97. Beobachtende Differenz. Instrumente der ethnografisch-soziologischen Forschung. In: Zeitschrift für Soziologie 32. P. 70-90. Das Zensurenpanoptikum. Eine ethnographische Studie zur schulischen Bewertungspraxis. In: Zeitschrift für Soziologie 25. P. 106-124.